Detailed descriptions of 15 types of gods, each with special powers they grant to their devotees. Discover the might of death gods, sun gods, and gods of the hunt! 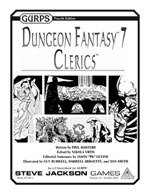 Lenses and spell lists for each type of god, useful for creating clerics, druids, and holy warriors ready to advance their causes. You can even create practitioners of evil faiths . . .
Sacred artifacts of interest to spiritual-minded dungeon-dwellers, such as holy-symbol weapons, holy water, relics, and more. Learn details of the sacred scalpel or the staff of earthquakes! A discussion of morality, spirits, and church hierarchies – especially as they apply to a Dungeon Fantasy sensibility. Whether you're a flamethrower-wielding holy warrior of fire, a druid of a storm god, or a cleric tied to a city, you're certain to find something in Dungeon Fantasy 7: Clerics that makes you a paragon of power. Pray to the deities – then prey on your enemies! 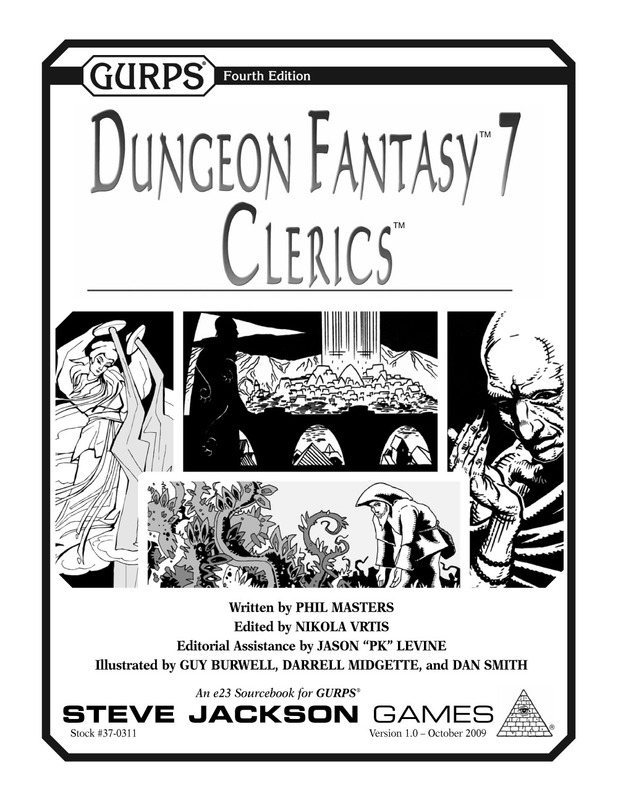 Follow the complete Dungeon Fantasy line for even more dungeon-crawling fun.